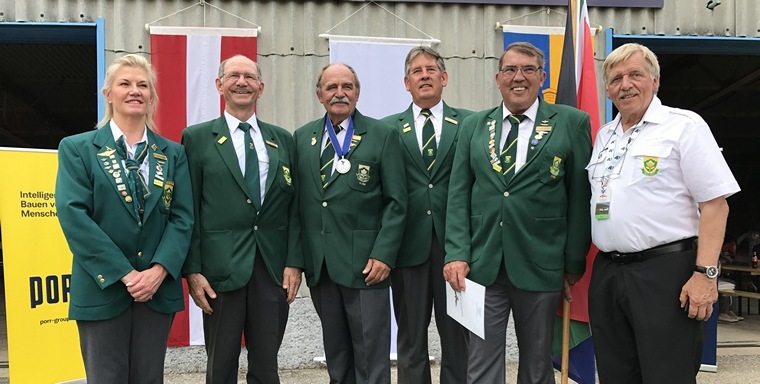 2017 saw the 23rd FAI World Precision Flying Championships being hosted in Austria. 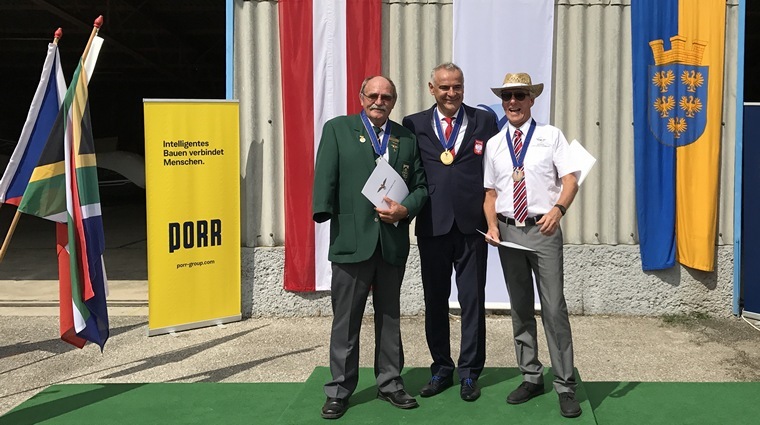 The event took place at a small airfield called Spitzerberg (LOAS) which is about a 30 minute drive east of Vienna Airport, close to the Slovakian Border, just south of the Danube River. Most of the teams were accommodated in the small Medieval Town of Hainberg at the Hotel Altes Kloster. The building was a converted monastery dating back to the 13th century. Both Opening and Closing Ceremonies took place in the hotel vicinity. 1. Flight Planning : Each crew member is allocated 1 hour to prepare the map from a predetermined route. 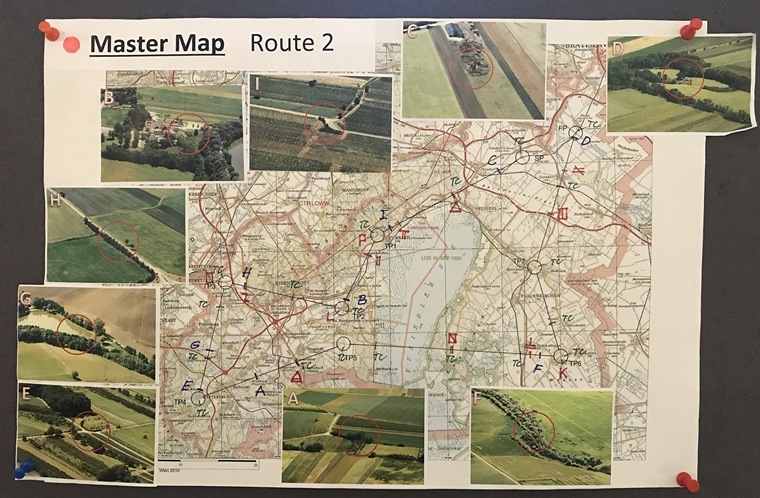 Route Check Points, times over the check points, and a prevailing wind is provided, and the crew is tasked with translating this into magnetic bearings, ground speed and allocated timings on a map provided to the scale of 1 : 200 000. 2. 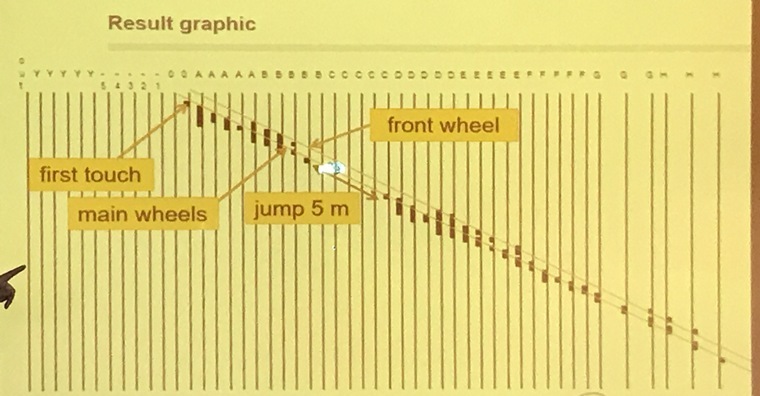 Flight Navigation : Each crew takes off at a pre allocated time slot. The route is about 90 - 100nm and takes approximately an hour to complete. 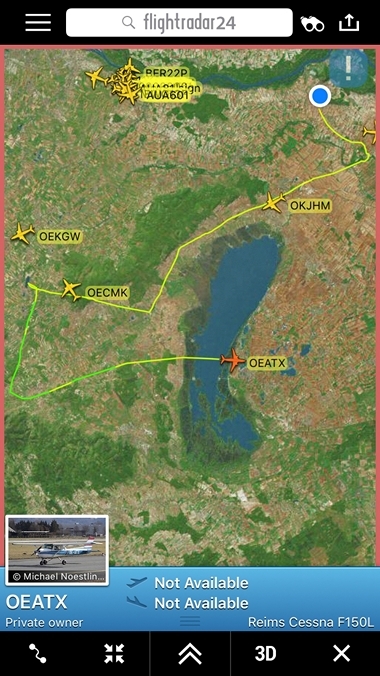 The pilot is tasked to overfly the Start Point, Finish Point and up to 9 en route Check Points to within 3 seconds of the allocated time for each point. In between each Check Point the pilot has to identify photographs on the ground and mark them on the map. 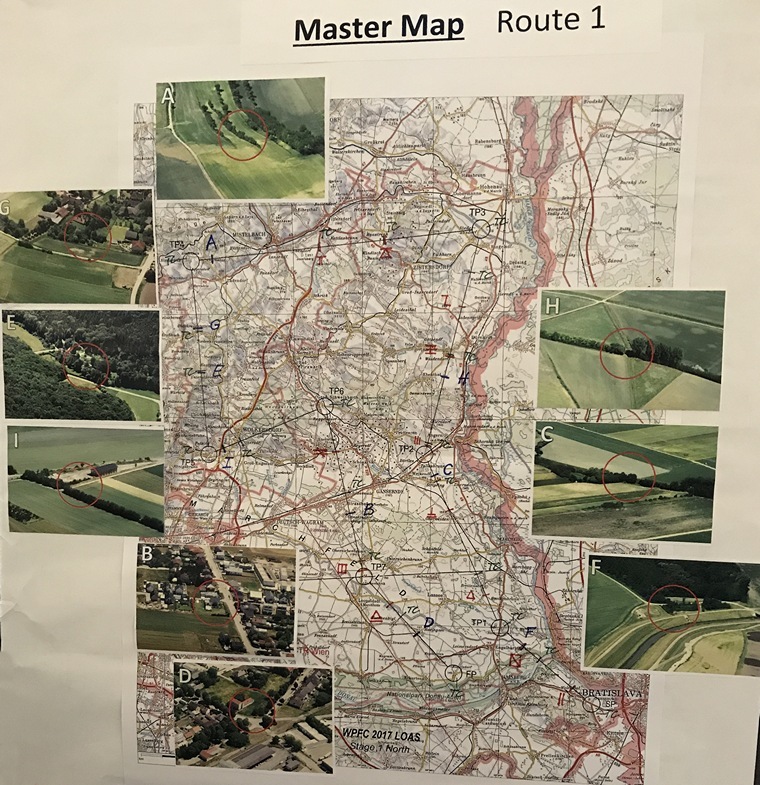 In addition alphabetical Ground Markers are positioned at selected Check Points, and random Ground Markers are placed en route in arbitrary places, which the pilot has to identify and clearly mark on the map. 3. 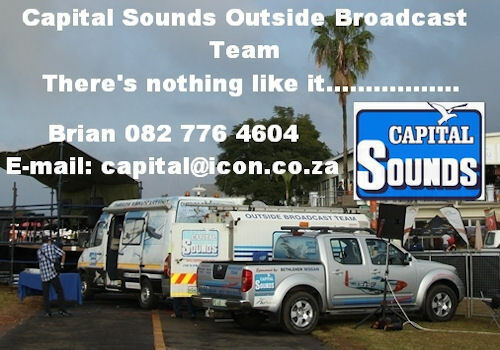 Landings : Each crew has to perform 4 landings with the main gear touching down as close to the �Zero� line as possible. Maximum penalties are awarded for short touch downs and minimum penalties are awarded for long touchdowns. This year 15 Countries from 4 continents participated. 63 pilots in total of which 56 were male and 7 were female. The event was supported by 50 people from 17 nations spanning the functions of Competition Directors, Judges and Team Managers. Hans Schwebel : President of the Jury. The crews arrived a week before the competition started and set about practising in order to familiarise themselves with the local terrain. Things are always difficult in the beginning as the maps and surroundings are very different to what we are used to in South Africa. However, the organisation was superb and besides the excessive heat (topping 40 degrees) and without any air-conditioning, the team had little to complain about. 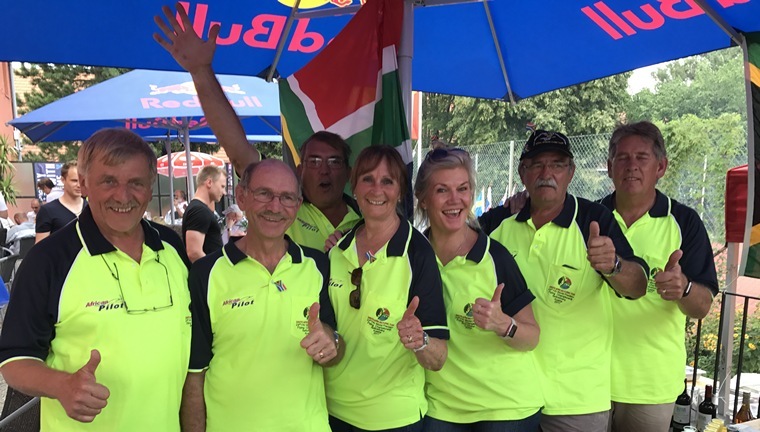 With most of the international teams receiving supporting sponsorship from their Local Aeroclubs or Governmental organisations, the costs for training and participating are acceptable and allows for many hours of additional training. 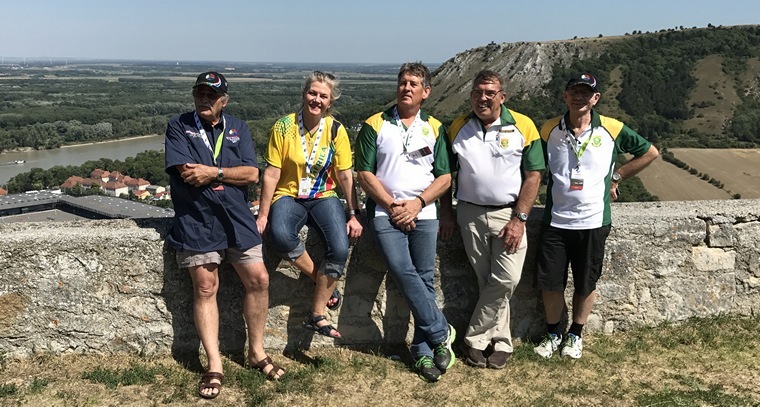 However, the South African Teams do sadly not enjoy this level of sponsorship and therefore have to dig deep into their own pockets to provide sufficient funding for travel, accommodation, aircraft rental and subsidence. With the Rand - Euro as it is, these costs can be prohibitive and as such do not allow the SA Teams to practice as much as the local Europeans. 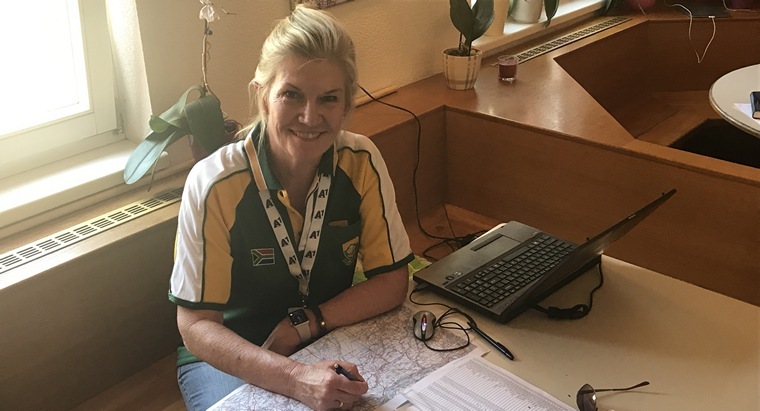 The good news, however, is that South Africa has made a name for itself in terms of providing the top Landing Pilots in the world. Ron Stirk, a businessman from Brits, has, despite losing an arm in a car accident, achieved the incredible status of being TWICE WORLD LANDING CHAMPION (almost unheard of). This year in Austria, he missed the third opportunity to take the title for the 3rd time by a mere 5m. Ron Stirk earned a Silver Medal for his achievement. 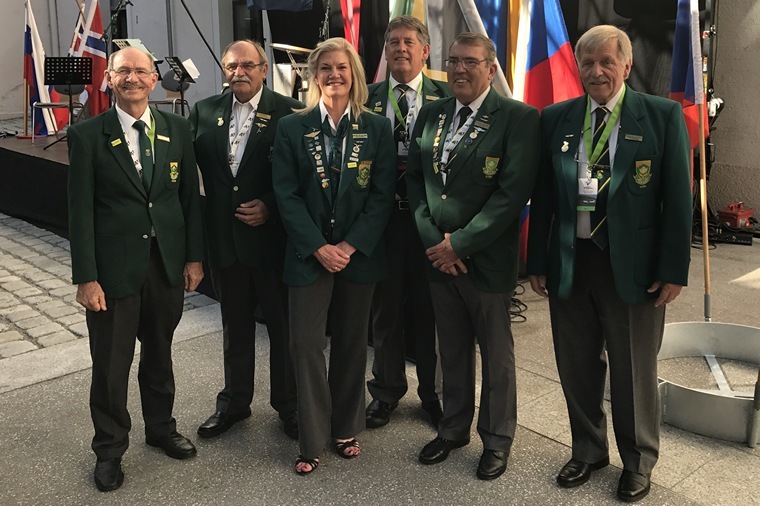 South Africa has for many years been awarded the �Spirit� Trophy for the team that provides the best �gees� and camaraderie. This year was no different. We arranged what has now become the traditional �INTERNATIONAL� evening and every participating country contributed towards their national food or drink. This event took place at the Spitzerberg Airfield at the end of the competition and so allowed for all teams to relax and enjoy. Despite much initial reluctance from the various teams to provide a team floorshow with a traditional song or dance, it was difficult to stop the flow of entertainment towards the end of the evening.